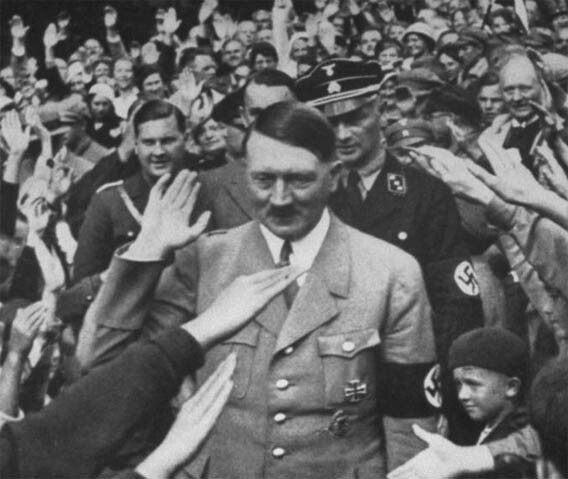 Just curious if anyone has ever looked at the hands of Hitler? 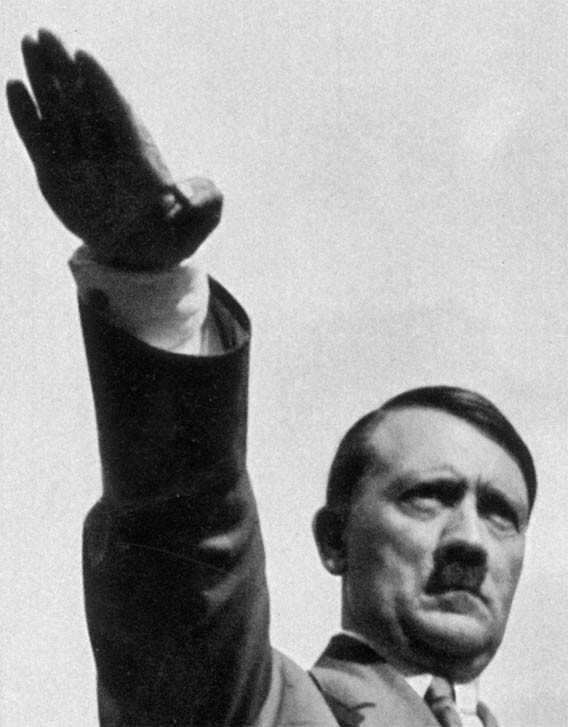 I read somewhere that Hitler's index finger was longer than his middle finger. But looking at some archival photos, it is obvious that at least for his right hand, his ring finger is prominent, whereas his index finger seems relatively short. It is hard to calculate the ratio between the two but it looks like D2:D4 is lower than average. I have not seen a clear picture of his left hand. Thank you for your 'famous hand' request! Yes, I think far most photos confirm that Hitler had a (slightly) below average '2D:4D digit ratio'. 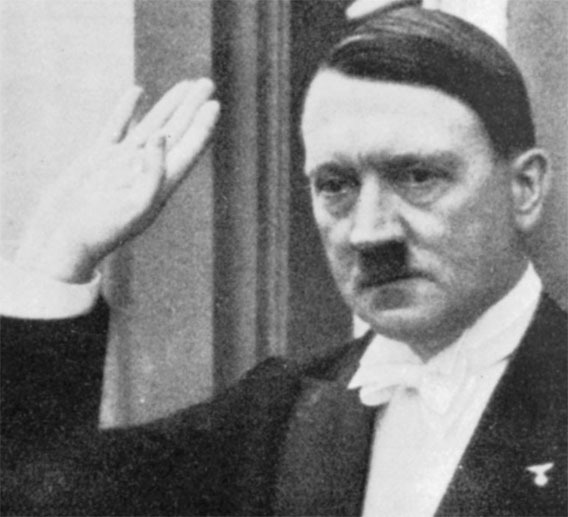 But there is also a (left) hand print available - presented as Hitler's hand - which does show a relatively long index finger and a short finger finger. I'll present it at the bottom of this post... for I dare to question the authenticy of that hand print. PS. I am aware that there a even better photos available (we collected some of them at the former PI forum), I have contacted Manfred from Germany to share some of his collection. 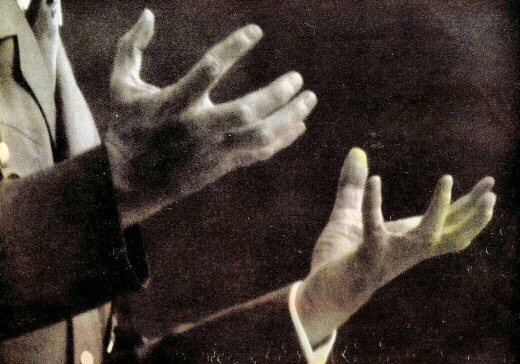 For example, another indication that this is probably not Hitler's hand... where is the 'long, strong pinky finger'? And where is the 'strong mount of Venus'? 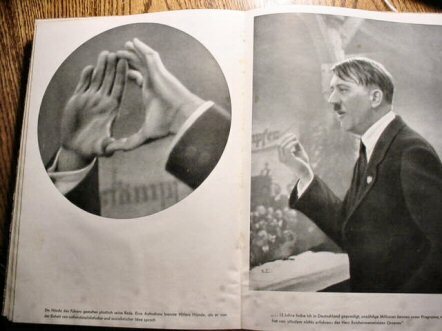 For, these are typical characteristics in all photos of Hitler's hands...!!! Fascinating. I would like to see better images for sure. I wonder what the provenance of the left handed image is? 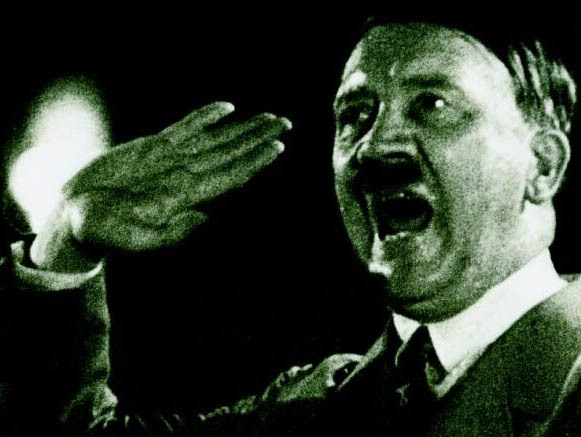 Interestingly, Hitler was into the occult. He was an avowed vegetarian, and there has been ample evidence to suggest that he had a fascination with occult subjects. Charles, I think I remember that the 'handprint' came from a book - but I am not sure. Can any of the former PI members remember where it came from? The image you've uploaded is from Josef Ranald "How to Know People by their Hands". The image in the book is much sharper - you can see some fine lines. I'll scan it shortly and upload. I think there is some controversy as to its authenticity. 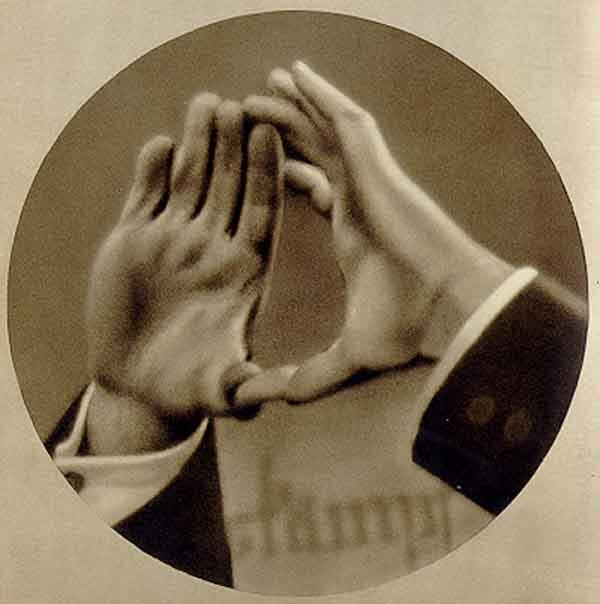 Patti wrote: The image you've uploaded is from Josef Ranald "How to Know People by their Hands". By the way, can you tell us ... is it a print of his right hand? The hand print indicates that it does concern his right hand, but now I am far less sceptical regarding the authenticity. I think it's his right hand. In the back of the book there are several pages that have been coated with some kind of pink solution with instructions to mix soda (baking etc) with glycerine or soapy water and dampen the hands and then press against the page. 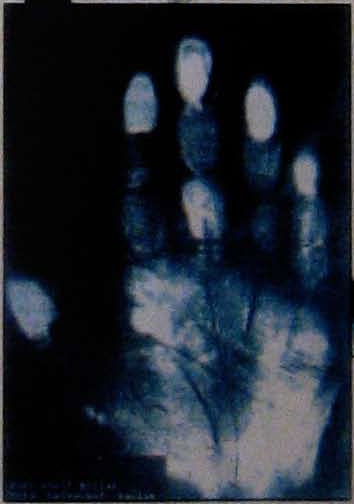 So the print is made similar to old soot prints - rather than inking the hand - the hand removes the coating when lifted. His instructions also call for printing the right hand. That would be awesome if you could identify this print as authentic through hand measurements. I don't think it's been done. There's a visible extra crease in the photo above on the index finger same as in the print. Middle finger bends in a way to reflect the lighter extra creases of the middle finger. Shape of palm matches, too. Andrew Fitzherbert speaks of Ranald's work like it's a bad taste in his mouth and cast the doubt on the authenticity of this being Hitler. His only real reason to cast this doubt seems to be Ranald's liberal use of Chiero, Benham and Jaquin's work. But, until recently who didn't rewrite Benham or Chiero? there appear hand-drawn crosses a star and an island on the hand-print of hitler. It would have been better if the print was left without the hand written marks. Also the print DOES NOT appear to be the same hand as the photo....the sun finger is MUCH longer in the picture...even if we make allowances for the angle of the photo and the slight incline of the fingers. The hand ( in photo) falls in the same category as ShahRukh Khan and Elton John type celebrities.......fuelled by the energy of the over developed padded mounts. That print is a fake. We´ve discussed it in Sue´s forum before. Andrew Fitzherbert wrote about the book the print is in in his "Palmist´s Companion". His opinion is that the prints in there are fakes. ps. Martijn: I´ve stored my Hitler fotos and I´ll put they in here not too far. Thank you for your comment. Can you also share more details about Fitzherbert's statement? 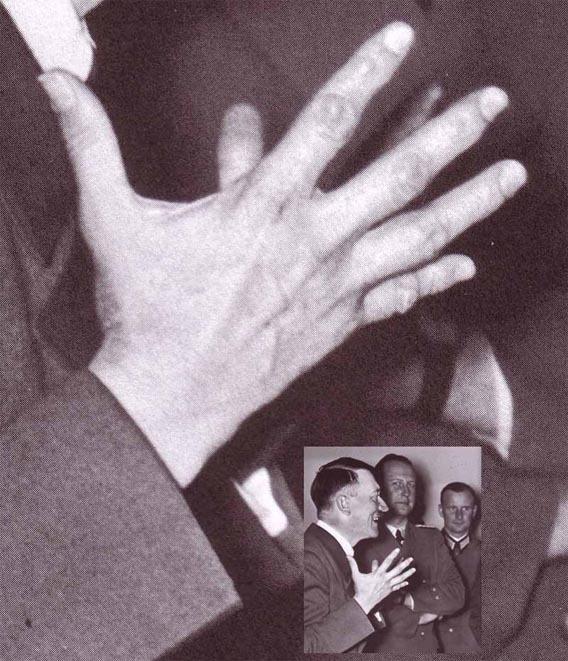 For example, one could wonder: how many photos has Fitzherbert seen of Hitler's hands? 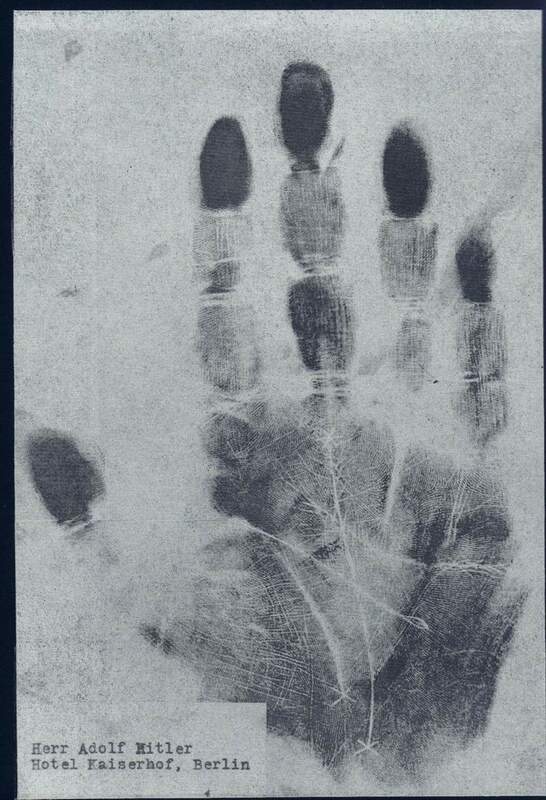 By the way, I think the 'double hand gesture' photo does present a few clues on the hand lines (curve in fate line, strong deep sun line, head line connected to life line, knick in the curve of the life line when the head line is connected) that the handprint can be authentic. thank you. At the moment I´m out of office and have to wait in taking part on the discussion until I´m back and have have my whole package of library and store. As per M.A Malik the writer of "The new horizon of Palmistry" defines in his book that if any line terminates at star it is the sign of misfortune or tragic end. Hitler's fate line ends at star under Saturn mount. Is that a real star or was that penned in like the x's? I am not sure that this is the real hand of Hitler to begin with. cshahar wrote: Is that a real star or was that penned in like the x's? I am not sure that this is the real hand of Hitler to begin with. What's your view regarding star on his saturn mount where fate line terminates. Dear Martjin, waiting for your opinion. Usually I am quite sceptic about the 'interpretation' of stars (and other signs) - simply because quite a lot of people are inclined to see signs... that are not really there. Regarding Charles' comment: I think he is right about that, for obviously the author has 'penned' a few signs in this handprint... and from my point of view that only results in a de-valuation of the materials! So, especially since we are now not able to see if it concerns a true star... I simply prefer to ignore all 'penned' signs, including the star. Sorry, for the reasons that I described: this handprint doesn't provide me a solid basis to participate in a discussion about 'stars'. PS. Amin, thanks again for your 'invitation'!! Manfred send me a few more photos, including the one below. Unfortunately it looks like that it will be hard to find any better materials which could help us judging the authenticity of the handprint. Musollini was in Germany (Munic and Essen, Berlin ?) 1937. Beside the hand of Musollini we see the year 1922. 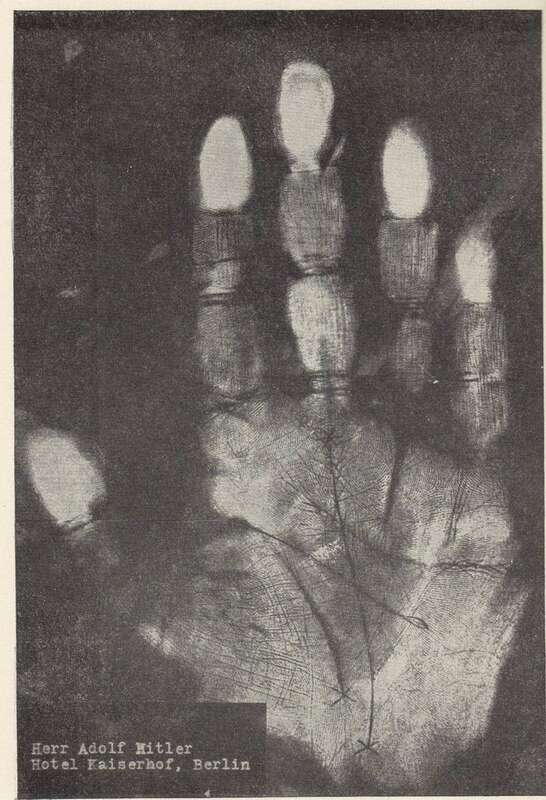 The more or less end of the life line of Ronalds's hand of Hitler could show the year around 56 (not really shure, because the palm is not complete in the lower part). - A.Hitler stood in the "Kaiserhof" / Berlin often during the whole 1930ies, even 1932 - before his election. - J. Ranald was an Austrian and a student of S. Freud's psychoanalysis in Vienna. Manfred, thanks for finding the pictures & info, and for giving us the link to Ranald's book.